Here are this weeks new cinema releases, slighlty later than normal due to us switching web hosting companies, that should see performance improvement once everything is fully configured. But enough of that and back to our favourite topic, movies! 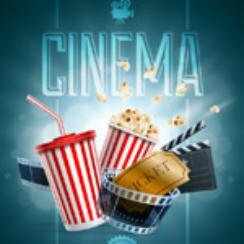 Theses are the cinema releases for August 11 2017 in the UK, US, Australia and New Zealand. This week’s big release is Warner Bros new horror film, Annabelle: Creation which release in UK, US, Australia and New Zealand. That damn spooky doll is back in the horror film Annabelle: Creation, that’s my pick of this week’s new releases. Atomic Blonde is receiving all the hype yet I’m far from convinced but I’ll give it a look. When the advertising claims to be the best film of the year so far I naturally find the opposite is usually true. maybe I’m just to damn cynical! Elsewhere with have The Nut Job 2: Nutty By Nature which will give the kids something to watch over the summer holidays.